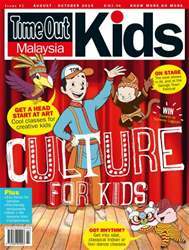 (0 Customer Reviews) | Write Review 8 issues per year Time Out Malaysia Kids inspires families be more active and get more out of the Malaysia. Written by local experts who know the secrets and hidden gems, the guides contain hundreds of trustworthy listings, exciting feature stories, unique interviews and insider tips on the best things to see and do with your kids. We also offer two annual Time Out Malaysia Guides; one for Visitors and a comprehensive Eating & Drinking Guide. 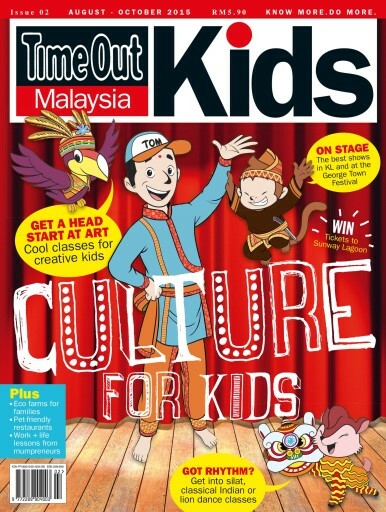 Time Out Malaysia Kids inspires families be more active and get more out of the Malaysia. Written by local experts who know the secrets and hidden gems, the guides contain hundreds of trustworthy listings, exciting feature stories, unique interviews and insider tips on the best things to see and do with your kids. We also offer two annual Time Out Malaysia Guides; one for Visitors and a comprehensive Eating & Drinking Guide. You'll receive 8 issues during a 1 year Time Out Malaysia magazine subscription. You'll receive 8 issues during a 1 year Time Out Malaysia magazine print subscription.